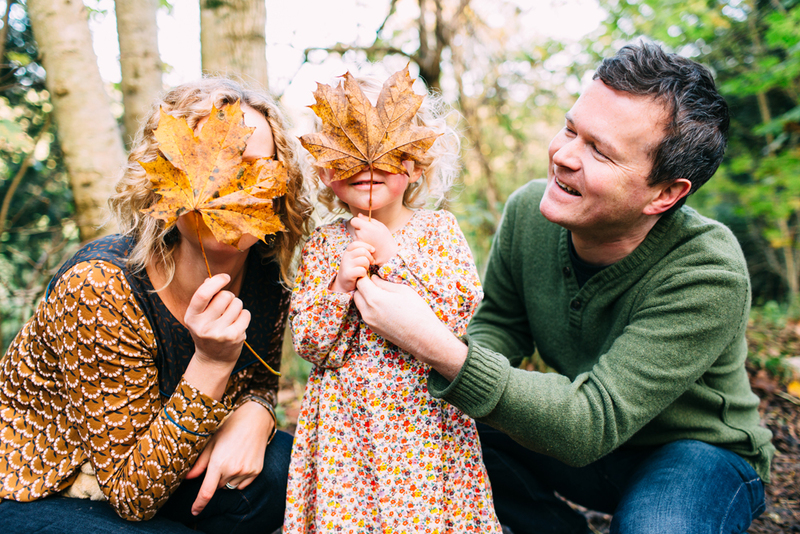 Back in October I had the absolute pleasure of meeting up with this gorgeous little family for their autumnal Stanmer Park family portrait shoot (which included their daughter’s much loved Winnie the Pooh!). When Alison first contacted me she explained that they only have a handful of photos of the three of them, as one of them is always taking the photo, and as their adorable daughter is quickly growing they wanted to capture some lovely shoots featuring all three of them (four of them if you count ‘Dah’, aka Winne The Pooh). 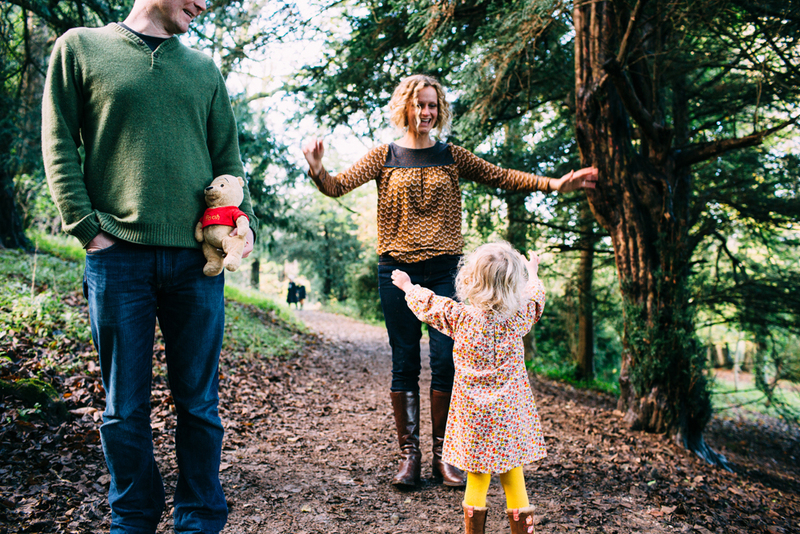 Stanmer Park is a very popular spot with families and dog walkers, surrounded by the Downs and Stanmer Village with just a handful of houses, a tea room, a small crumbly church, and of course the popular Stanmer House. Stanmer House has roaring fires, is extremely dog friendly and serves yummy food. Located on the outskirts of Brighton, it was a wonderful location for our shoot. 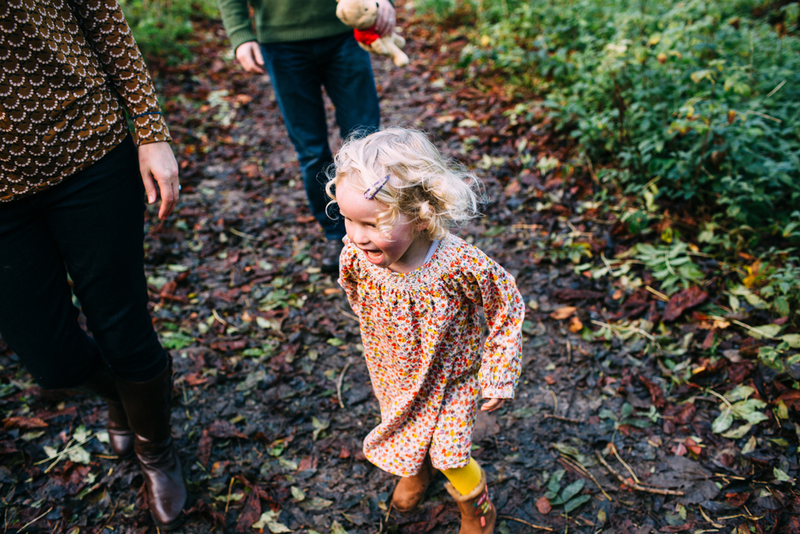 As we strolled through the woods it was clear Neve knew exactly what she did, and didn’t want, to do. And what she wanted to do most was chase, and be chased! Capturing a very quick toddler proved somewhat a challenge, but a very fun one. In fact one of my favourite shots is the blurred one as she ran straight past me, tongue hanging out and curly hair flying in the wind! It also got me wondering…. at what age does running stop being fun?! I wish I was still small enough to be swung around by my arms and legs too, the sheer joy it brought to her face was a delight to witness through my lens.